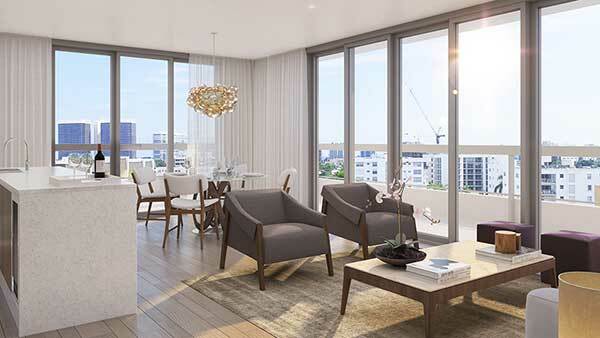 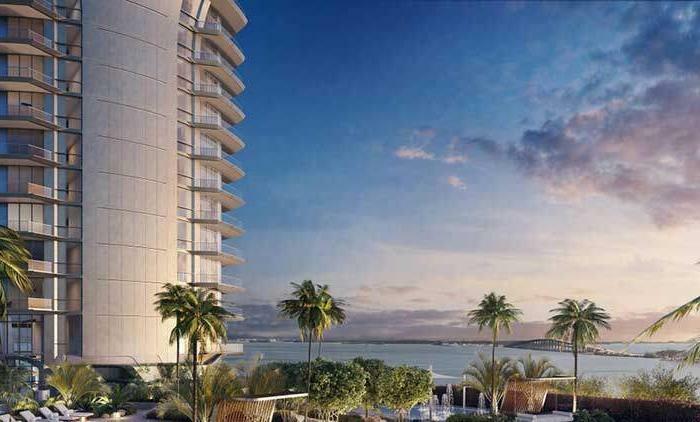 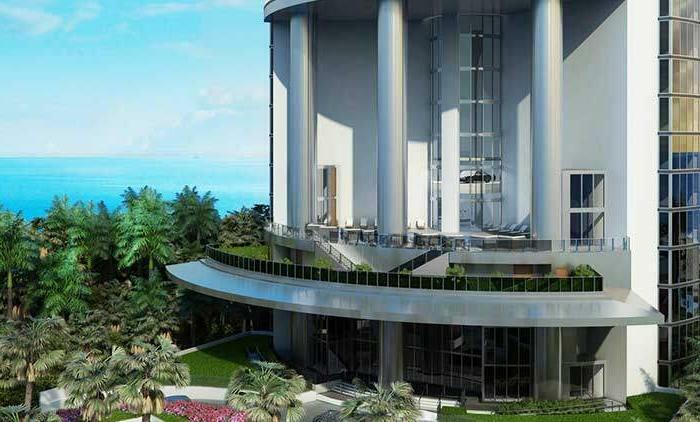 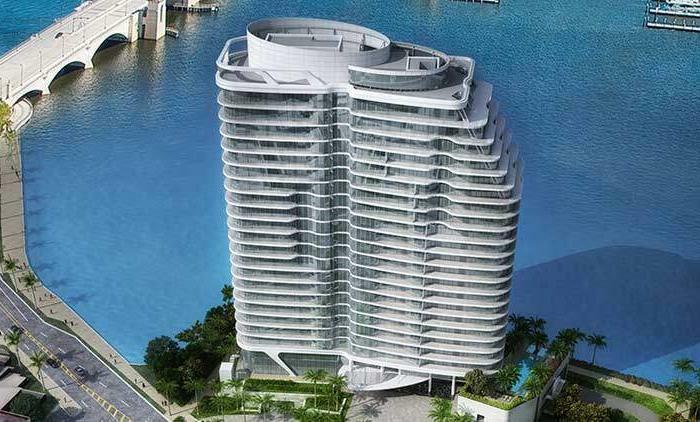 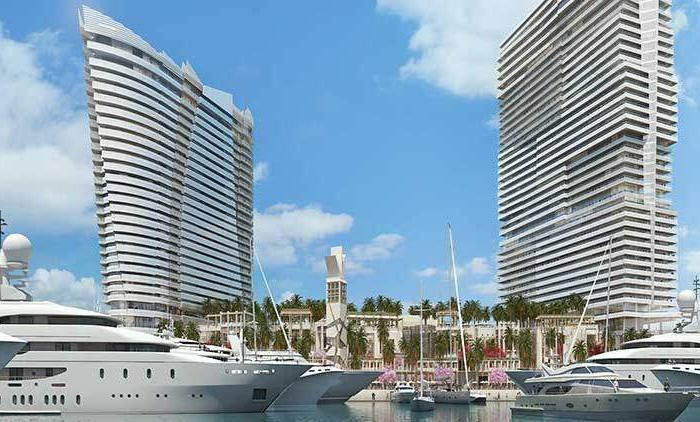 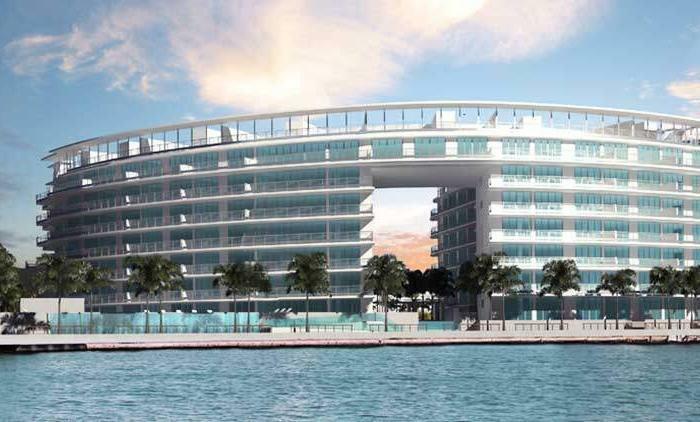 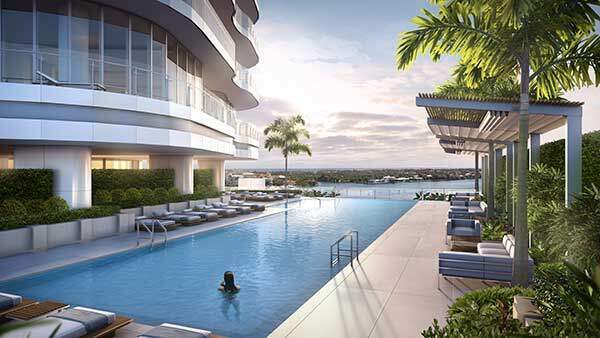 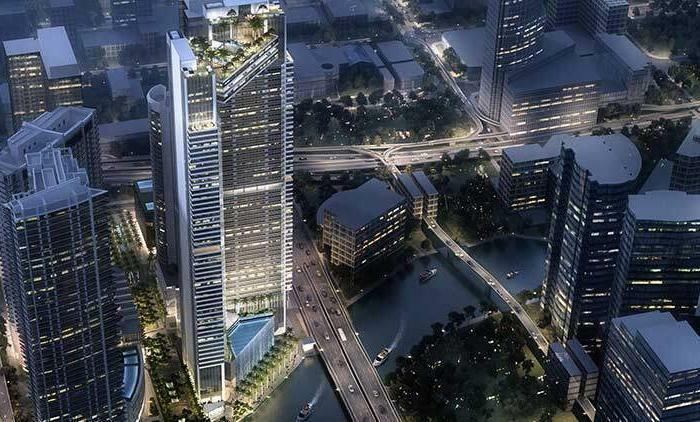 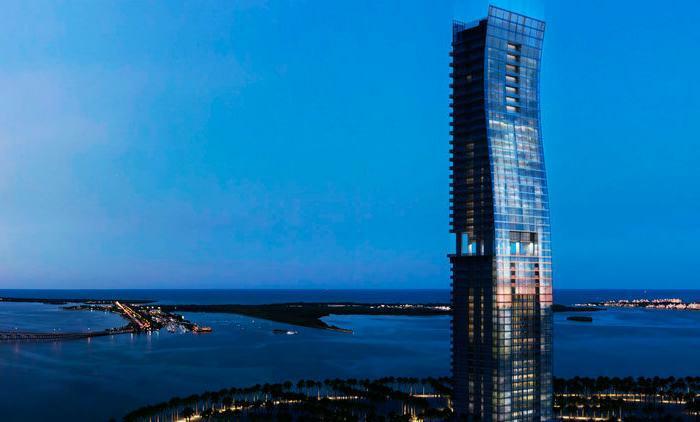 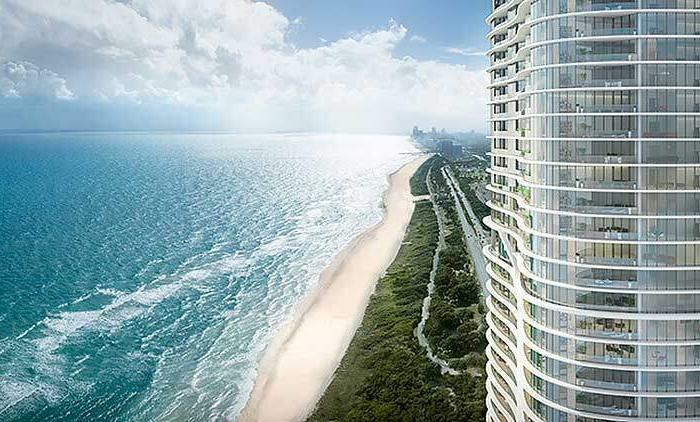 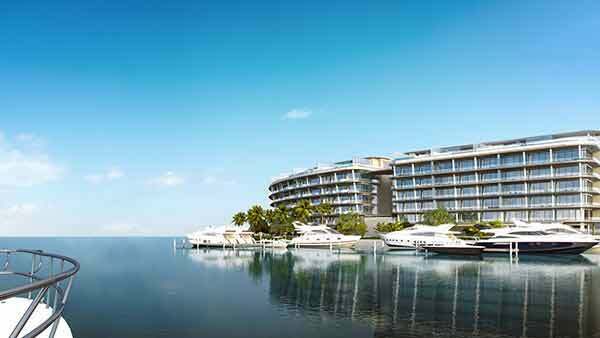 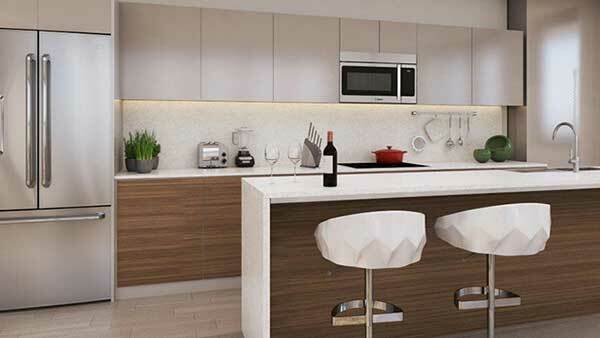 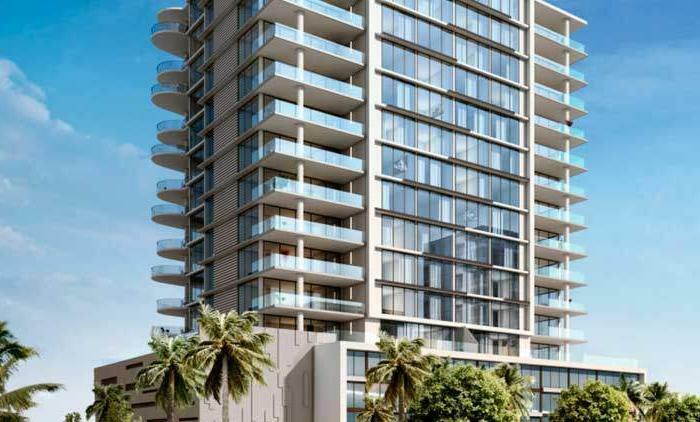 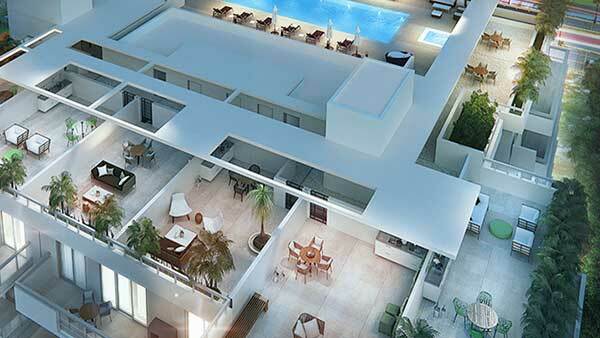 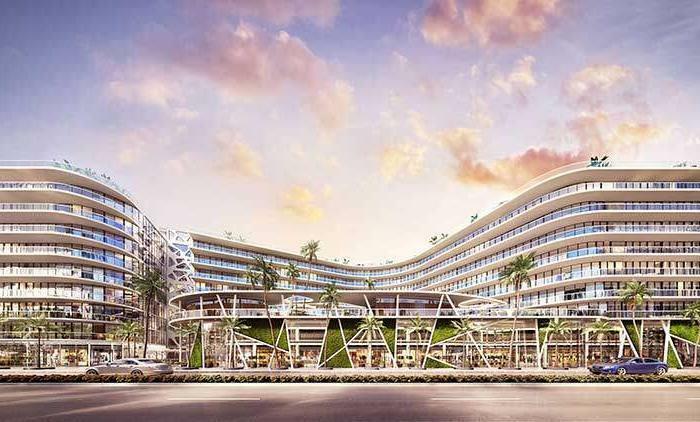 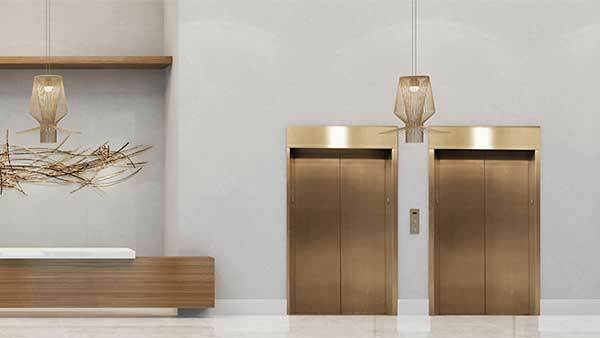 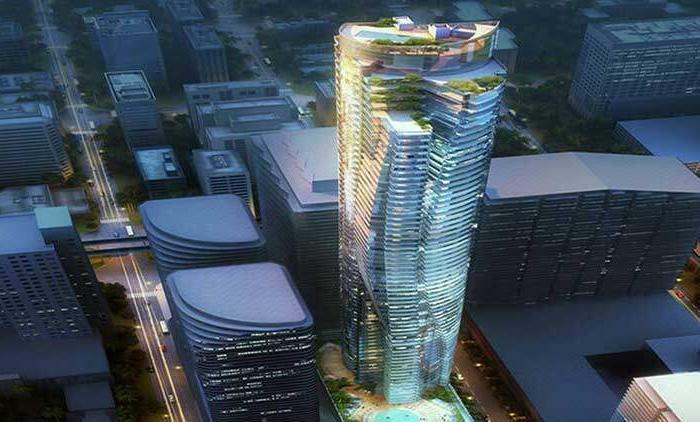 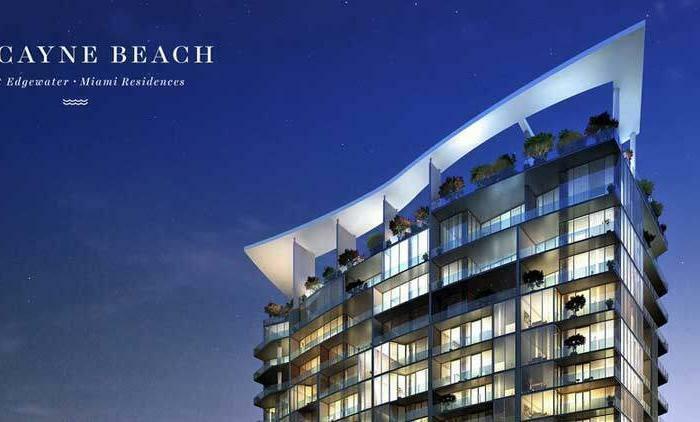 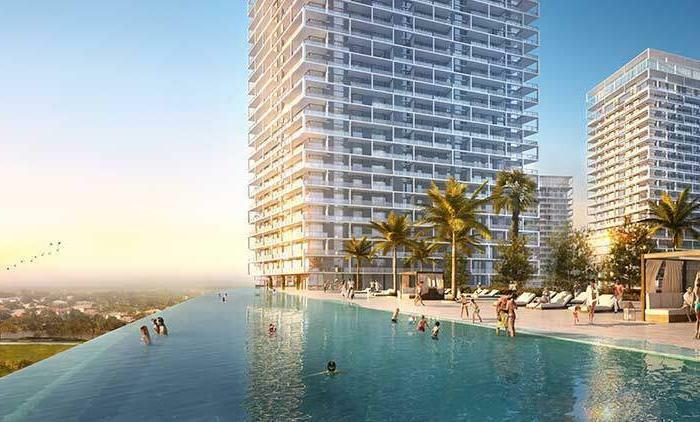 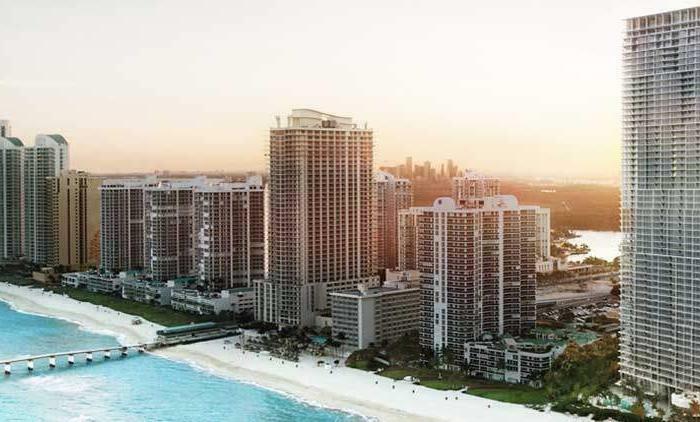 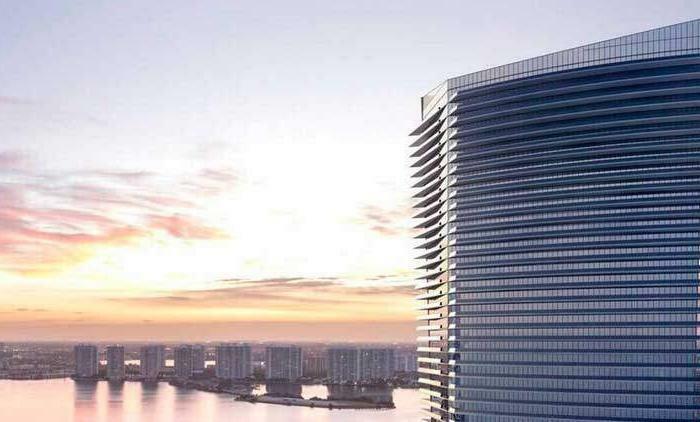 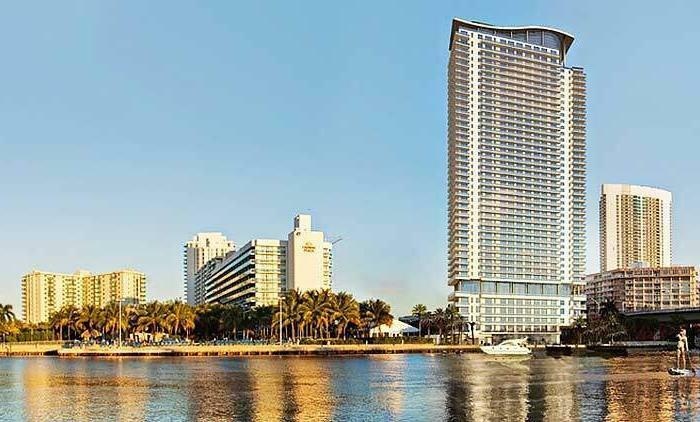 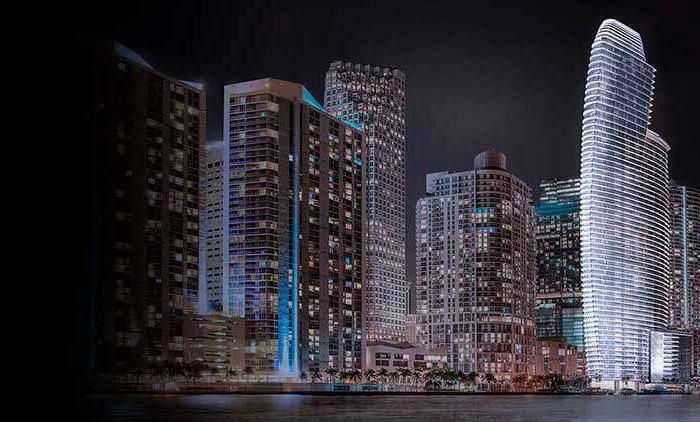 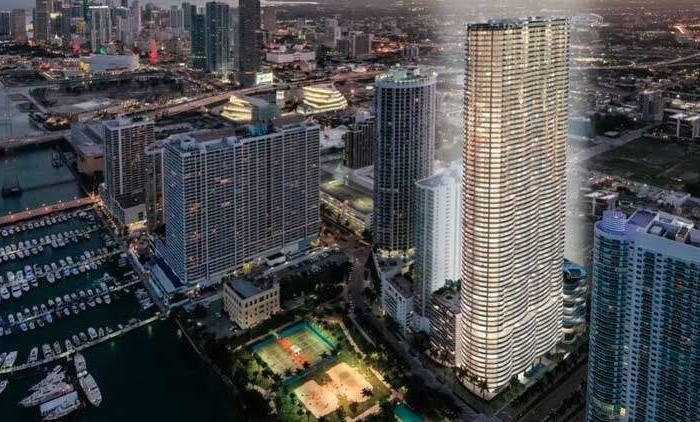 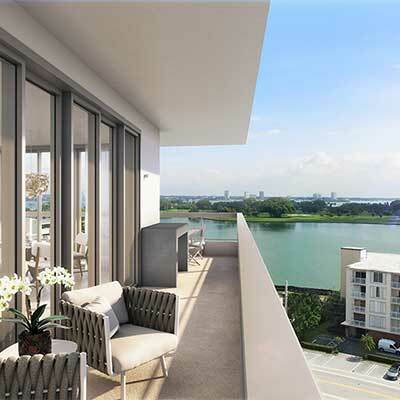 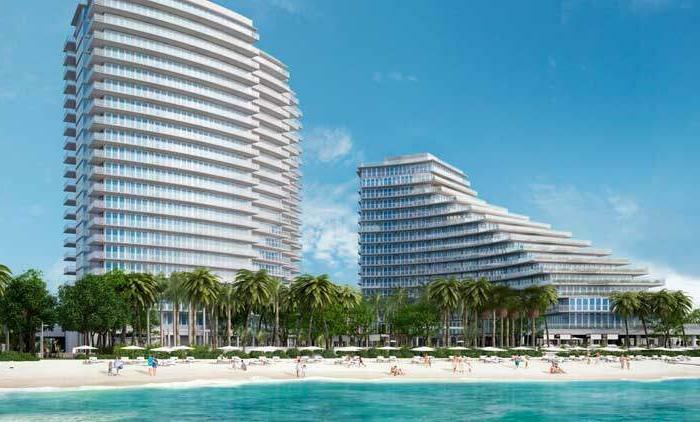 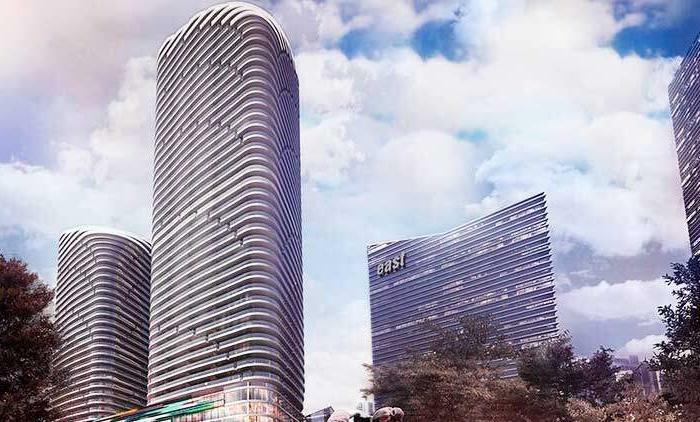 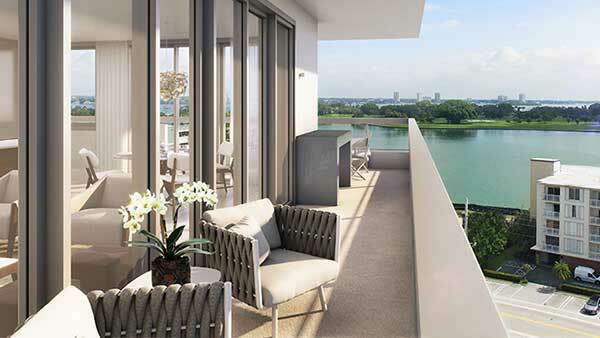 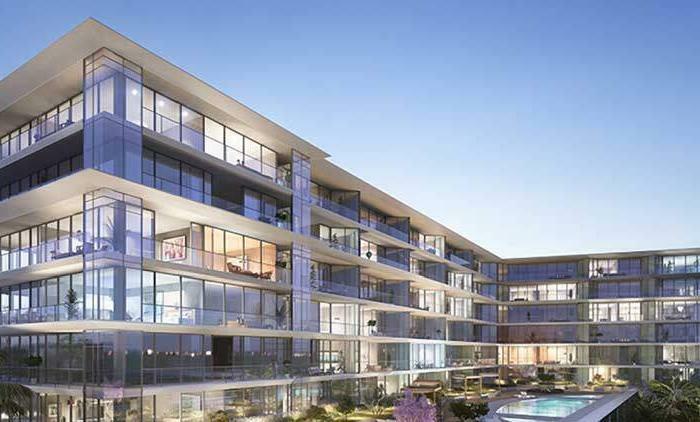 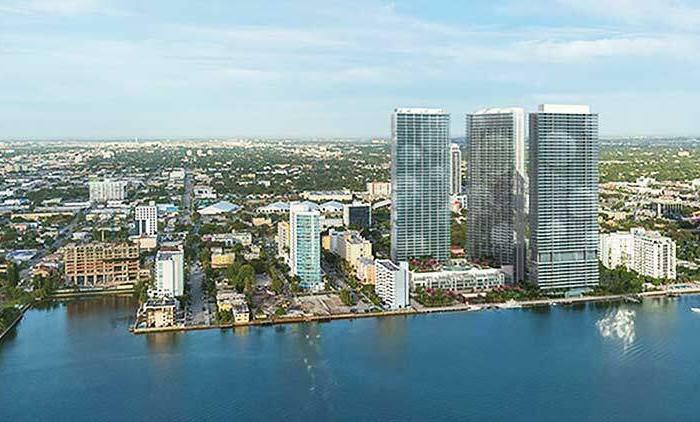 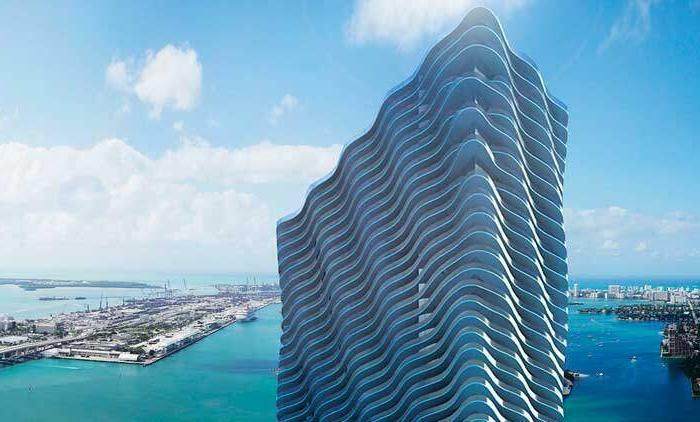 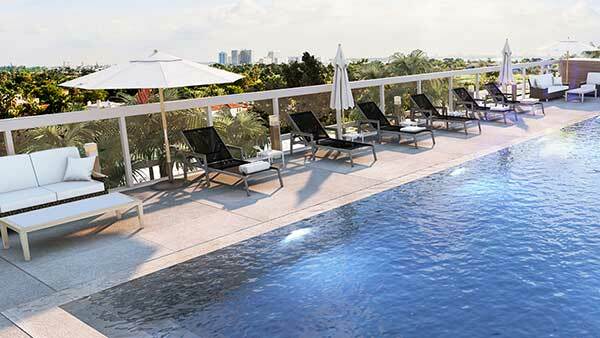 Casa Verde is a new boutique condo coming to Bay Harbor Islands, a small enclave next to Bal Harbor and Miami Beach. 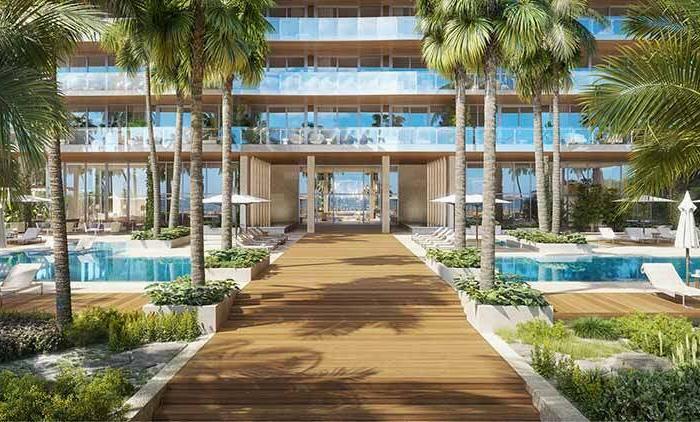 This chic building designed by Frankel Benayoun Architects features 30 furniture-ready residences, a rooftop Sky Pool, private cabanas, expansive gym and more. 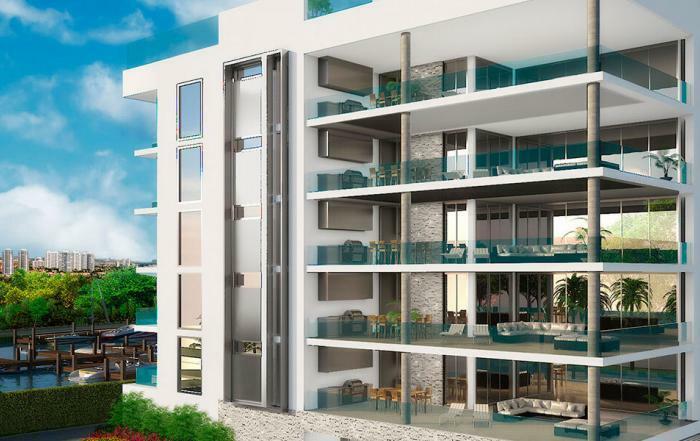 Casa Verde is the perfect home for young families and professionals looking for privacy, with excellent schools, restaurants, luxury shopping and white-sand beaches all within reach. 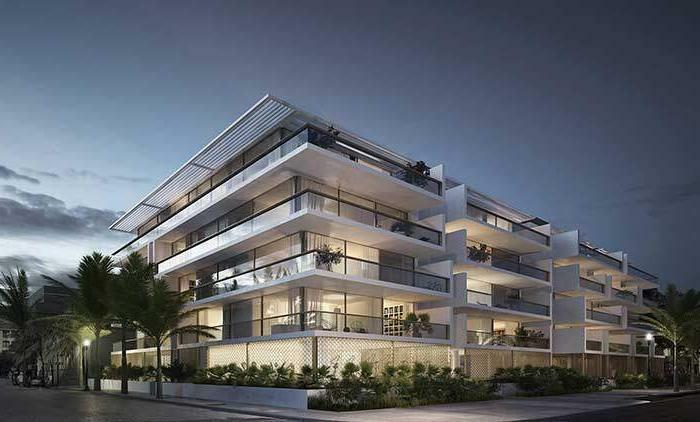 Casa Verde features just 30 residences by Frankel Benayoun Architects designed with elegant touches of mid-century and ’70s-era modernism. 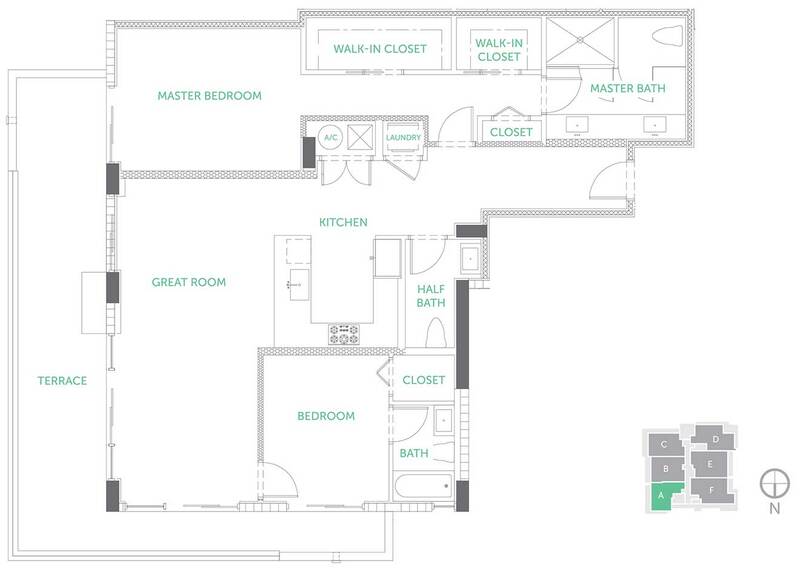 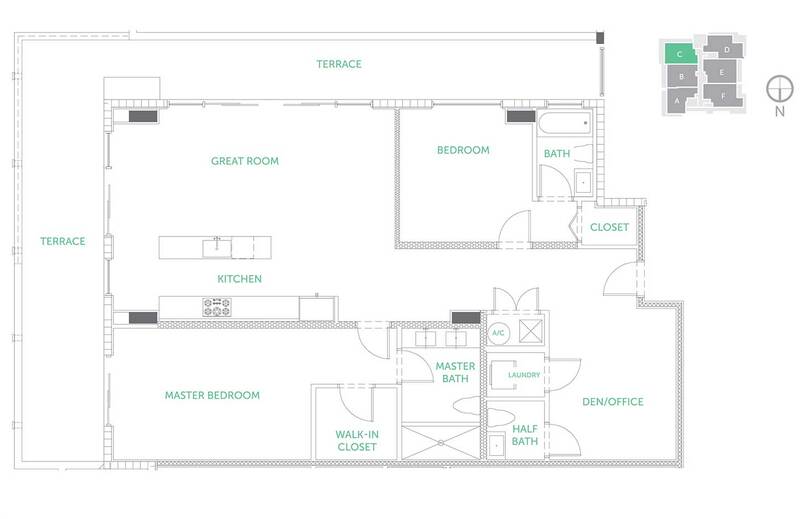 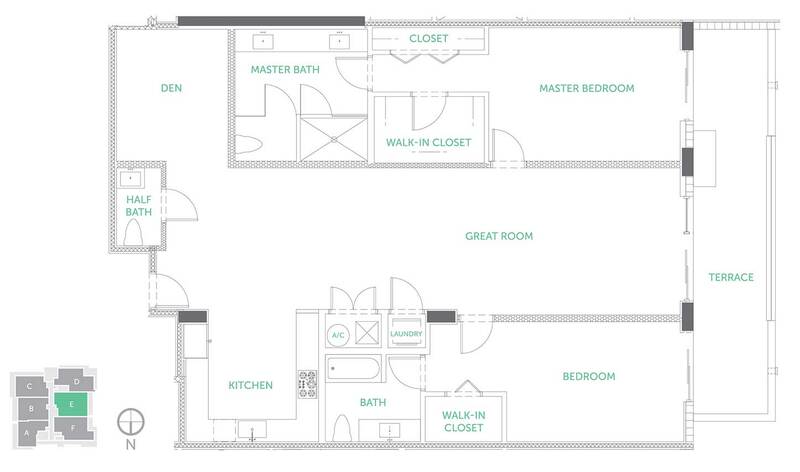 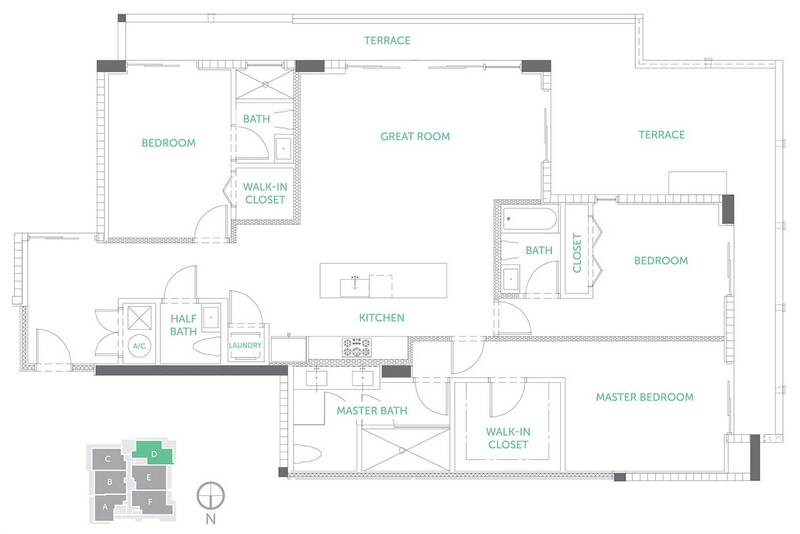 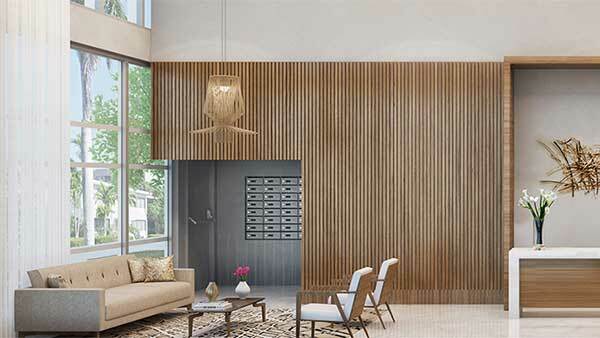 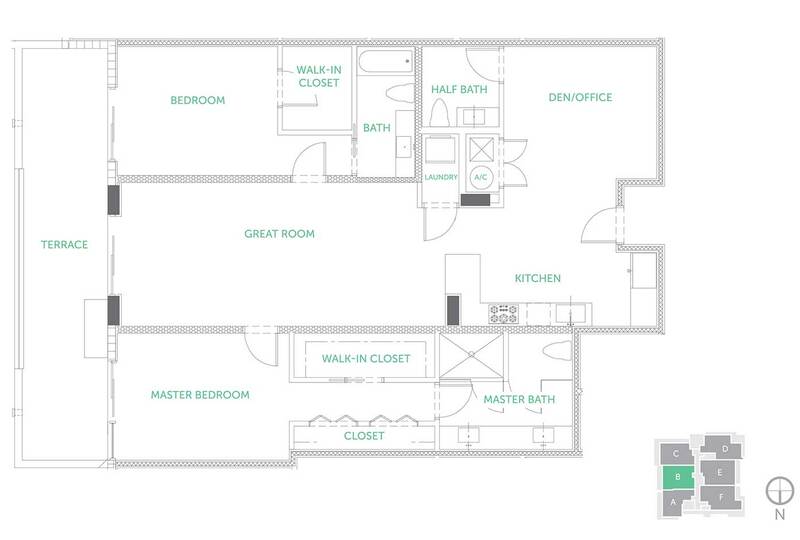 And with six different two and three-bedroom floor plans starting at 1,449 square feet, there’s a layout to fit your lifestyle -and luxuries that will elevate it to a whole new level. 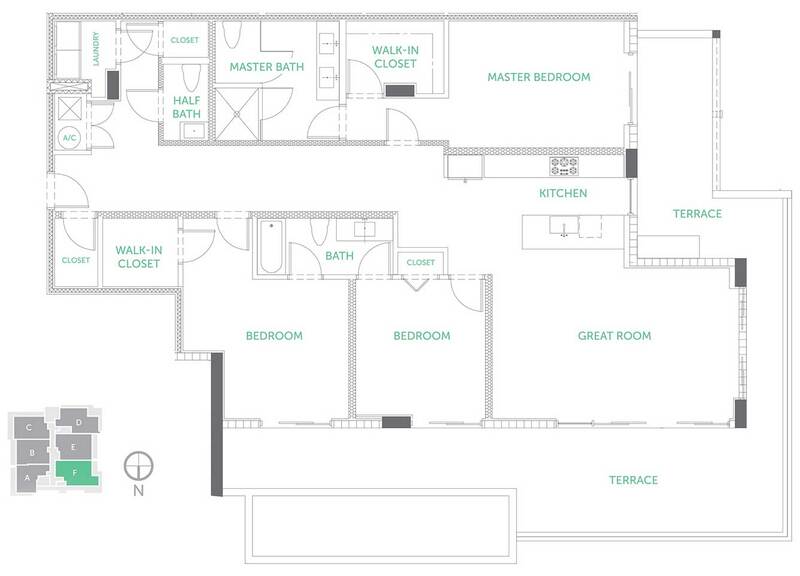 Six large open floor plans, from 1,449 sq. 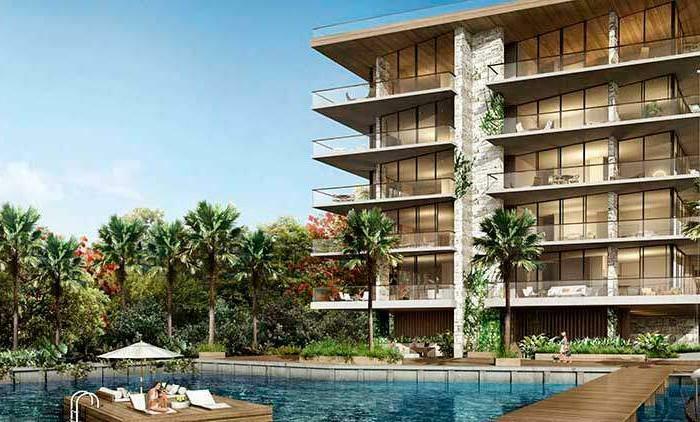 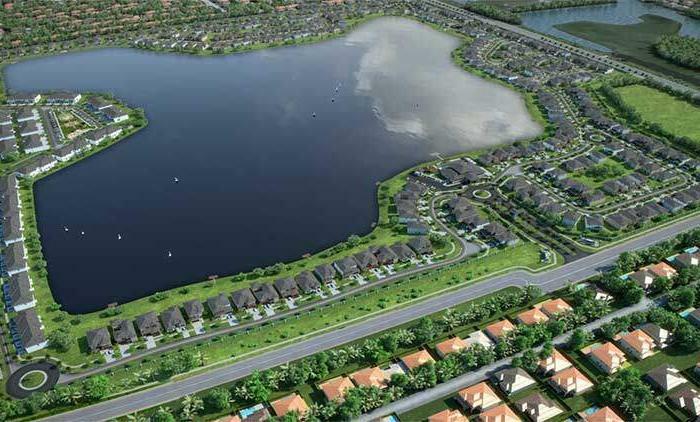 ft.
Casa Verde offers native Floridan landscaping and generous indoor/outdoor spaces that bring a touch of nature to the condo living experience. 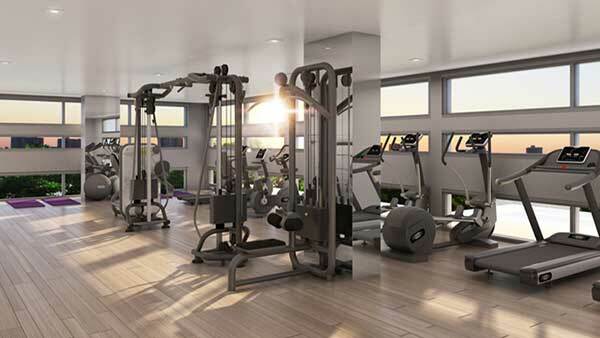 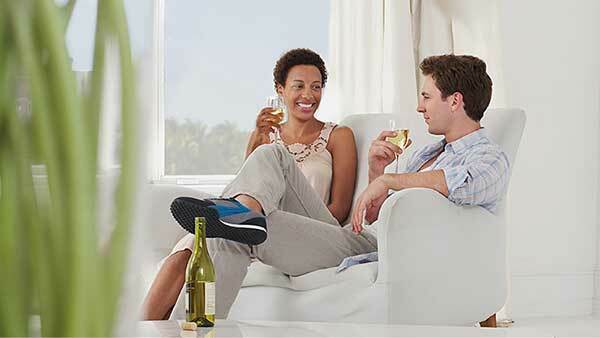 Residents enjoy a rich array of high-caliber amenities designed to make life more comfortable and fulfilling, including rooftop spaces for both communal enjoyment and private ownership.